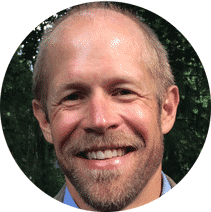 Charlie Schlegel currently serves as an independent education consultant, working on several projects with Mass Insight Education, Marian University, and school districts in Indianapolis and Minneapolis. Prior, Mr. Schlegel served as Superintendent of the Community Charter Network (CCN), a small group of public charter schools in Indianapolis that serve nearly 1200 students, K-12. Prior to leading CCN, Mr. Schlegel served as an upper elementary school teacher in New Orleans, starting through Teach For America. Mr. Schlegel served as Principal of Wayland Middle School, a public school just west of Boston, and the Avondale Meadows Academy, a K-5 charter school in Indianapolis. Mr. Schlegel earned his B.A. in History from the University of Michigan, M.A.P. from Stanford University, and Ed.D. from Harvard University, and brings strong educational leadership to the Governing Board.